Seattle Nasal and Sinus (Eric T Waterman MD) (Renton) - Book Appointment Online! 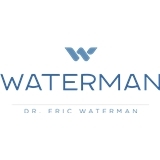 Eric T. Waterman, M.D., F.A.C.S. is a double board certified surgeon (ENT and Facial Plastic and Reconstructive Surgery). He is a rhinoplasty (nose job) specialist who also treats other nasal and sinus issues. He features treatments that are alternatives to traditional sinus surgery such as balloon sinus dilation, done in-office with patients returning to work as early as the next day. Other procedures treat snoring and sleep apnea and chronic sinusitis and post nasal drip. Voted by his peers for several years as one of Seattle’s Top Doctors by both Seattle and SeattleMet magazines.